Action Against Hunger -- known internationally as Action Contre la Faim, or ACF International -- is an international humanitarian aid, andnon-government organization dedicated to ending world hunger and malnutrition. ACF was established in 1979 in France by a group of French doctors, scientists, and writers.Alfred Kastler, the Nobel Prizewinning physicist, served as the organization's first chairman. Over the years, ACF has provided assistance to Afghan refugees in Pakistan, famine-stricken Ugandan communities, and Cambodian refugees in Thailand. During the 1980s and 1990s, it expanded to address humanitarian concerns in Africa, the Middle East, Southeast Asia, the Balkans, and elsewhere. ACF's short-term programs address hunger and malnutrition through feeding centers, food and supply distribution, and by providing water and sanitation facilities in emergency situations arising due to conflict, natural disaster or epidemics. In the long-term, ACF provides training in nutrition, food security, water and sanitation, and healthcare. Global malnutrition, both chronic and acute, now afflicts more than a billion people. Acute malnutrition, however,is the more immediate killer: it threatens 19 million -- mostly young children -- with starvation. 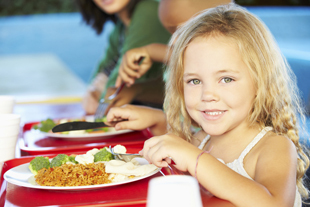 Every year, as many as three million children die from hunger-related causes. This loss of life is all the more tragic because acute malnutrition is preventable, predictable, and cost effective to treat. With more than 30 years of experience in emergency situations of conflict, natural disaster, and chronic food insecurity, ACF's life-saving programs run in more than 45 countries -- benefiting five million people each year. Through capacity-building programs and in collaboration with government ministries, the organization's 4,600 professionals carry out innovative life-saving programs. These are in the areas of nutrition; food security and livelihood; water, sanitation,and hygiene; and help to restore dignity, self-sufficiency, and independence to vulnerable populations around the world. In 2012, ACF treated more than 157,000 severely malnourished individuals in Kenya, Nigeria, Uganda, South Sudan, Democratic Republic of Congo, and Pakistan. From providing lifesaving therapeutic intervention to children on the brink of death, to providing mobile care to undernourished pregnant and nursing mothers, and to children on their road to recovery, the ACF reach is wide. ACF provides access to clean water and improved sanitation for communities at risk of acute malnutrition. Almost a billion people on the planet donot have access to clean drinking water. A third of the world's population lives without basic sanitation infrastructure, such as toilets. Every day, 4,000 children die from illness, such as diarrhea, dysentery, and cholera, caused by dirty water and unhygienic living conditions. The battle for malnutrition cannot be fought without tackling the diseases that contribute to it. In addition, ACF's food security and livelihood programs tackle the root causes of hunger -- the problems of access, income, and production. ACF's rapid-response capabilities reflect its commitment to emergency preparedness, and its global reach places the organization at the forefront of disaster response. From cholera, an epidemic sweeping through refugee camps, to catastrophic natural disasters and spikes in malnutrition rates brought on by drought, ACF responds to humanitarian emergencies across the world -- delivering immediate life-saving services to populations in distress. In November 2013, the Philippines was hit by destructive typhoonHaiyan -- killing more than 6,000 people, withabout 14 million people across nine provinces being badly impacted by the deadly storm. ACF's emergency response teams worked tirelessly to provide potable (safe) water, basic sanitation and hygiene, food, and shelter to those who lost everything. The main goal in the ﬁrst phase of emergency relief is to save lives. In the long term, the goal is to rebuild homes, roads, markets and livelihood, and to approach recovery with risk management in mind, in order to prevent such disasters from reoccurring. So far, ACF has reached out to 650,000 people in need. during times of crisis -- when an earthquake devastates a city, when civil war tears apart a county, when droughts lead to famine, and when families flee violence only to confront hunger. The context for ACF programs can be as varied as the crisis -- from rural mountain villages to ethnically divided cities and the confines of overcrowded relocation camps for the internally displaced. ACF sets up feeding centers to treat malnourished children. They also help control and prevent malnutrition through child-growth monitoring, nutritional surveys, and public education. Therapeutic feeding centers treat children, suffering from severe malnutrition, through rigorous medical treatmentprograms. Water and Sanitation: - ACF's integrated approach to hunger and malnutrition involves extending water and sanitation services to communities faced with water scarcity, unsafe drinking water, inadequate sanitation, and poor hygiene. Poor sanitation, reduced access to potable drinking water and low awareness of hygiene practices lead to many infections, sicknesses, diarrhea and ultimately malnutrition. ACF provides access to safe drinking water by drilling wells, tapping springs, and installing water systems. It trains local teams and communities to maintain equipment, and educates the population on the importance of clean water and sanitation. Food Security - This program at ACF forms a continuum with the work the agency does in the area of nutrition. While its feeding centers restore health to individuals suffering from severe and acute malnutrition, the food security program helps prevent any future outbreak. ACF distributes seeds and tools, and also conducts training programs for income-generating activities, such as Farmer Field School, gardening, animal breeding, and food conservation. Advocacy - ACF raises awareness about hunger, and seeks to alert the international community when human rights, especially the right to food, are violated. Tackling Hunger in Democratic Republic of Congo - a nation reeling under decades of conflict -- experiences routine outbreaks of severe malnutrition, threatening tens of thousands of lives. Since 2003, ACF has been helping build the country's local health system. In 2012, ACF's teams trained thousands of health workers, equipped hundreds of hospitals and health centers, and provided life saving therapeutic care to more than 42,000 severely malnourished children. In the remote stretches, thousands of people are at risk of Konzo, a severe neurological ailment triggered by exposure to cyanide present in improperly processed cassava, a staple crop in the region. ACF helped impacted communities address this public health crisis by distributing seeds and tools to support diversified diets; rehabilitating water networks, drilling wells, and installing water tanks to improve access to clean water for proper cassava processing; and leading a broad public awareness campaign on the causes of the illness. Capacity Building in Nigeria - Nigeria has the third-largest number of malnutrition cases in the world, more than one million children suffer from malnutrition. ACF is helping national agencies and local communities build capacity to treat deadly malnutrition. The organization saved 36,000 lives of starving Nigerian children in 2012 -- triple the number of (12,000) cases in 2011. Overcoming Challenges in South Sudan - For more than twenty years, ACF has worked with vulnerable populations in South Sudan, responding to the region's high malnutrition rates, lack of clean water, and chronic food insecurity. A year after claiming independence, the Republic of South Sudan still faces challenges exacerbated by natural disasters, food shortages, and tensions with Sudan. In 2012 alone, ACF treated 30,000 severely malnourished people and helped another 200,000 access lifesaving care; provided more than 145,000 people with access to clean water and sanitation; and helped more than 60,000 people improve their lives. 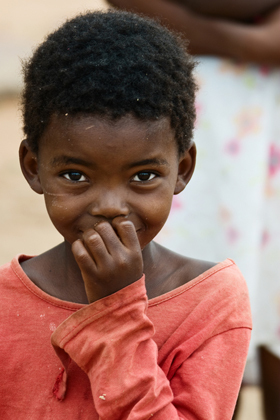 In Zambia and other countries badly impacted by HIV/AIDS, an estimated 20% of children under 17 are orphans. These orphans, often stigmatized because of their association with the disease, thrown into poverty, and traumatized by the death of their parents, tend to strain extended families' resources and overwhelm national health and education systems. Since 2006, ACF has been working with a local partner –- Children in Distress -- to provide support to orphans and their caregivers in Kitwe -- one of the poorest areas of Zambia. With support from ACF, CINDI trained 11 community-based organizations to improve the health and nutrition of HIV-affected households in 2010. In Kenya, Nigeria, Uganda, South Sudan, Democratic Republic of Congo, and Pakistan alone, ACF helped provide access to potable water, sanitation, and hygiene solutions to 662,000 people. In 2012, the organization helped reduce waterborne disease rates by providing access to clean and safe drinking water, building sustainable sanitation facilities (such astoilets), and training communities on ways to maintain good hygiene in all areas of their lives. Increasing Funding - From 2009-2012, ACF revenues increased by nearly 60% from $40,000,000 to $63,000,000. ACF plans to implement strategies that prevent and treat malnutrition, and help restore self-sufficiency among communities, while still having the capacity to rapidly and effectively respond to nutritional crises -- whenever and wherever they occur. Allocation of Expenses - In 2010, nearly 84% of all expenses directly supported their field programs in nutrition, water, sanitation and hygiene, and food security and livelihood. The balance covered the general management and administration costs of its five headquarters, along with expenses related to fundraising, press relations, and public outreach. The strength of the organization lies in its rare commitment to communities impacted by hunger. ACF's innovation can be seen in programs that not only address immediate needs, but help communities develop the resources to be self-sufficient. The organization will likely continue to develop new and diverse sources of private funding to ensure a rapid response whenever and wherever disaster strikes, and to have the flexibility to address the full range of underlying causes of hunger. Health - ACF sets up mother and child healthcare centers to provide immunization and pre/post-natal care. Their public health programs train medical staff, monitor and control epidemics, and rehabilitate clinics.